I'm a ridiculously over-educated lupus patient who has decided to try to use her academic background to help other patients understand lupus, lupus drugs, lupus tests, etc. 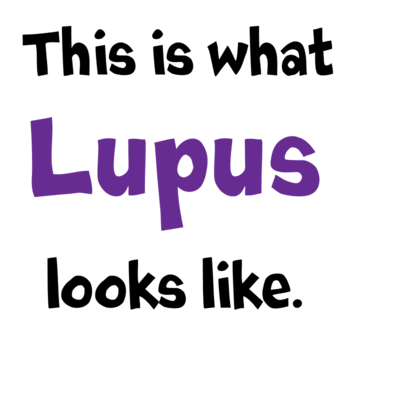 I also feel the need to try to explain to non-lupus patients how lupus affects patients, with the hope that non-lupus patients will gain a greater understanding of the disease. I am currently an Epidemiology Specialist working for the State of Alaska. I am owned by a cat. I like to bake, and frequently put recipes on my blog. I also knit, because it gives me an opportunity to expand my vocabulary of swear words (especially when the cats get involved). I do not enjoy long walks on the beach, because I'm allergic to the sun (thanks, lupus). I also suffer from a number of other autoimmune-related illnesses, and have had melanoma (malignant skin cancer). I try to cover other autoimmune diseases as people request or, unfortunately, when I'm diagnosed with something new and exciting. I always welcome questions or suggestions for article topics. Please let me know if there's something you want to hear about, or if there's something I've left unclear! P.S. My spam-blocker automatically blocks any comment that has an advertisement attached to it. This includes everything from drupalgarden. So if your comment doesn't show up please either contact me personally or use another email address to post it.